He has played at famous Theaters including the Musikverein and Konzerthaus in Vienna, Berlin Konzerthaus, Munich Herkulessaal, Hamburg Laeiszhalle, Bonn Beethovenhalle, Hannover NDR Landesfunkhaus, Amsterdam Royal Concertgebouw, Barbican Hall, Queen Elizabeth Hall, Royal Albert Hall, Wigmore Hall and Cadogan Hall in London, Glasgow Royal Concert Hall, Edinburgh Usher Hall, Liverpool Philharmonic Hall, Dublin National Concert Hall, Prague Rudolfinum Dvorak Hall, Auditorium Parco della Musica in Rome, Auditorium Lingotto and Auditorium Toscanini in Turin, Teatro degli Arcimboldi and Teatro Dal Verme in Milan, Warsaw Philharmonic Concert Hall, Cidade Das Artes and Theatro Municipal in Rio de Janeiro, Nikkei Hall, Musashino Cultural Hall and Bunka Kaikan Hall in Tokyo, Hong Kong City Hall Concert Hall, Sala Nezahualcoyotl in Mexico City, Mariinsky Theatre in St Petersburg, Leipzig Gewandhaus, Teatro Sociedad Filarmonica in Bilbao, Teatro Filarmonico in Verona, Teatro Grande in Brescia, Teatro Donizetti in Bergamo, Kiev Lysenko Hall, Teatro Verdi in Florence, Leeds Town Hall, Lucerne Lukaskirche, Salle Cortot in Paris, Lincoln Centre in New York and Bennet Gordon Hall in Chicago for the Ravinia Festival. He has also performed with renowned Orchestras including the Mariinsky, St Petersburg Philharmonic, Accademia Nazionale di Santa Cecilia, Orchestra Sinfonica Nazionale della RAI, Royal Scottish National, RTÉ National Symphony, Royal Liverpool Philharmonic, London Philharmonia, Vienna Chamber, Klassische Philharmonie Bonn, Polish National Radio Symphony, Philharmonie Zuidnederland, Sinfonica di Milano G. Verdi, National Philharmonic of Ukraine, Filarmonica de la UNAM, Sinfônica Brasileira, Orchestra dell’Arena di Verona, Royal Philharmonic, Opera North and BBC Symphony, working with esteemed Conductors including Valery Gergiev, Heribert Beissel, Vasily Petrenko, Juraj Valčuha, Thomas Søndergård, Alan Buribayev, Jasper Kaspszyk, Ed Spanjaard, Roman Kofman, Alpesh Chauhan, Yuri Temirkanov, Joji Hattori, Andrew Nethsinga, Pier Carlo Orizio, Umberto Benedetti Michelangeli, Neil Thomson, Vladimir Ashkenazy, Marios Papadopoulos, Case Scaglione, Kees Bakels, John Neschling, Timothy Brock and Yuki Miyagi. He has been sharing the stage with Lang Lang, Martha Argerich, Nelson Freire and Leonidas Kavakos, also appearing as cover star on the magazines Suonare News, Pianist and Harmonie. Some of his concerts have been broadcast by Mitteldeutscher Rundfunk (MDR), BBC Radio3, Rai Radio3, Deutschlandfunk, Polish Radio2 and RTÉ Lyric FM. He was recently called to replace Radu Lupu at the Konserthuset Stockholm with the Royal Stockholm Philharmonic Orchestra under Sakari Oramo. 2019 starts with the release of the second CD produced by Chandos Records, with works by Bach and Bach-Busoni. Performances with orchestra include concerts with the Orchestra Sinfonica Siciliana (Evgeny Bushkov, Beethoven 3), Stamford Symphony Orchestra (Vladimir Kulenovic, Tchaikovsky 1), Hamburger Symphoniker (Ion Marin, Grieg Piano Concerto- Laeiszhalle Hamburg) and Philharmonia Orchestra (Andrew Nethsinga, Rachmaninov 2- London Royal Festival Hall). Then, solo recitals are scheduled at the Kumho Art Hall in Seoul, Amsterdam Royal Concertgebouw and Berlin Konzerthaus. In addition, the much awaited CD entirely dedicated to the Scarlatti’s Sonatas Vol. 2 is made by Chandos Records. Born in Brescia in 1988, he has been studying at the Milan Conservatory, Imola International Piano Academy and Salzburg Mozarteum, under the guidance of Sergio Marengoni, Konstantin Bogino, Boris Petrushansky and Pavel Gililov. He received the "Grosso d'argento" as a prize for the international prestige given to his hometown, and the Music Section of the UK Critics’ Circle included him among the recipients of its 2018 Awards. Cleverly structured according to mood, the present selection first impresses with the clarity of Colli’s touch as he speeds through Scarlatti’s hurtling rhythms, startling modulations and dissonant crunches. In K.208, an A major adagio, we seem to be listening to music unravelling and Colli’s delicacy at such points is miraculous. The result is 18th-century Scarlatti all set up for the 21st, racing ahead with intoxicating vivacity, shimmering with poetry and painted a thousand colours. He groups his chosen “sonatas” in sequences of four and he makes his choices for contrast. Whatever the end goal, this is going to be an exhilarating journey in Colli’s crisp, articulate and expressive hands. Colli brings out the joy of the pieces, taking the listener through adventures. He outdoes both Horowitz (1960s; M/A 2004) and Pletnev (1995 not reviewed) in vigor and contrasts. Acquire this and prepare to buy more of it. Colli's virtuosity copes easily with the sonatas' fiendish runs, snaps, and awkward trills, capturing the Spanish, Italian folk and dances influences that give these short, often curious pieces such flavour, wit and vitality. In the F minor Sonata Kk69, the results are wonderful, expressive and yet dignified. His beautifully light touch and lyrical grace make the music shine. I must confess that this CD is one of the most exciting and enjoyable things I've heard in a long time. Federico Colli avoids the historical correctness looking for a new approach, but he does it with an unmistakable taste, a sense of form, a lot of imagination and an extraordinarily unconventional freshness. After this listening, we are like the legendary London concert-goers, who were shouting loudly at the end of an evening with Furtwängler: "It's all wrong!". And at the same time they were clapping enthusiastically. This is amazing music, so imaginative, so emotionally varied. One can just listen straight through, sixty-seven minutes well-spent, and enjoy Scarlatti’s rich, wide-ranging and surprising invention. Fast works are crisp and brilliant, slower ones sensitive and affecting. Colli really makes this music speak and resonate, and throughout he digs deep into the musical potential created by this genius composer. What we get here is music making of rare conviction and exuberance, a vitality that sweeps you up in a tide of invention. Scarlatti hasn’t been this much fun since Horowitz left it off his encores list. Bookmark this project, a milestone in modern recording. The 16 sonatas are grouped into four chapters. It’s a brilliant idea, as intellectually satisfying as it is musically - especially given Colli’s ability to validate his musical argument with such persuasive, tasteful use of tempi, dynamics, articulation and phrasing. You can't but marvel at the sheer quality of his playing - his trills the epitome of crispness, his repeated notes sounding absurdly easy, while his command of dynamic extremes is second to none. The pianist is brilliantly alive to Scarlatti's infinite variety, mixing the familiar with the unfamiliar. His is an enthralling journey with a determination to open our minds and ears to all Scarlatti has to offer. Colli's pinpoint brilliance is complemented by an inwardness that makes his curtain-raiser, KK19 in F minor, a particularly haunting experience. Colli's colouring of the music is imaginative, and he is often persuasive in his cantabile playing. Notwithstanding some splendid moments - the A major Sonata K39 is one of them - I am happier when the aesthetics of Scarlatti's time are more closely adhered to. Colli performs these sonatas following the inner expression of the sounds. In this way, new sound worlds emerge with an immense range of nuances and touches. He is a meticulous and persuasive interpreter, so his interpretations of Scarlatti are so worthy of being heard. -  Sonata No. 23 in F minor "Appassionata"
Beethoven’s ‘Appassionata’ Sonata is full of youthful fire in this performance by the Leeds winner Federico Colli. In short, it comprises the storm, the calm and the fury: I can almost imagine this is how Beethoven would have played it. Federico Colli shows his beautiful shades of colour in the wildly demanding Scriabin Tenth Sonata, where the trills and abrupt rhythms are given their full worth by the performer. With Mussorgsky’s Pictures, it can often be the case that pianists tend to overdo the drama. Federico Colli, however, is not out to score cheap points. The ‘Promenade’ binds the sections together without coming across as repetitive, and the big chords on the final pages are never harsh or banging. This is an impressive recording - the whole release is proof that the Leeds judges made the right decision in selecting Federico Colli as their number one. Federico Colli's captivating ability to illuminate even the most densely packed musical terrain emerges as a structure of supreme logic. Entirely individual, Federico Colli nonetheless takes you back to the far-off days of Lupu and Perahia. I can celebrate a crystalline brilliance and translucence that takes you to the heart of everything he plays. From the first moments of the Appassionata Sonata, one realizes that a substantial pianistic talent is on display. Scriabin’s almost atonal 10th Sonata receives a very sensitive and insightful reading and in Pictures he brings off in impressive fashion. This is a well-recorded recital by an impressive young artist and you should give this disc a listen just to become acquainted with what a worthy member of the younger generation of pianists has to say about these seminal masterpieces of Western music. If anyone had arrived at the concert wondering why Federico Colli had won the Salzburg Mozart Competition and the Gold Medal at The Leeds, their wondering would have turned to just plain wonder after only a few bars of hearing him play. 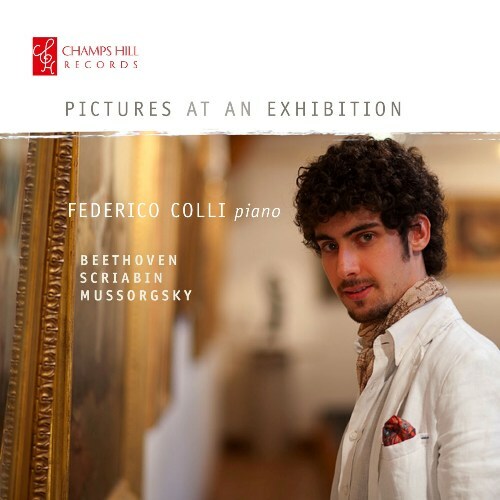 Federico Colli- piano playing of wonderful subtlety. The slow movement- one of the most beautiful things in Schumann's output, surely- was moody, rapt and gloriously poetic. Something magical began to happen with the first variation of the Beethoven's second movement: a pattern of figuration that in other hands can be nothing more than that, but that for Federico Colli became a shifting lattice of subtle voices, light and shade- as if he could hear and imagine things that the rest of us can't. 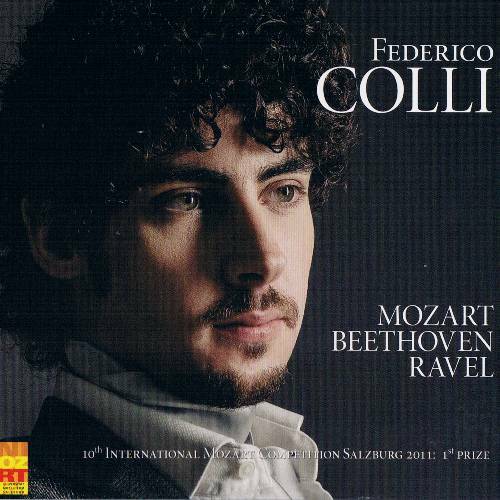 Federico Colli is undoubtedly an interpreter of extraordinary freshness, elegance and originality. The expressive tension, the tonal variety and the richness of accents in the phrasing are irresistible to the listener's ears. Federico Colli has obviously a wonderful technique, which allows him to penetrate the work in different ways. His interpretation of Beethoven’s Emperor was clearly structured and logically expressed. Cutting a dandyish figure in his grey suit and trademark silk cravat, Federico Colli launched the Mozart Sonata regarded by many pianists as downright trivial, but which in his hands opened up like a spring flower, its outer movements shot through with brilliant lights, and its Andante exquisitely shaded; he tended to brush the keys rather than striking them, and he was very sparing with the pedal. With clear and shrill sound, Federico Colli not only conquers the goal- showing a technique of extreme virtuosity- but also manages to give a his own reading of the demoniac Rach 3. He reveals the nature "liberty", decorative and insinuating of the concerto, more American than Russian, more silky than furry. Very well. 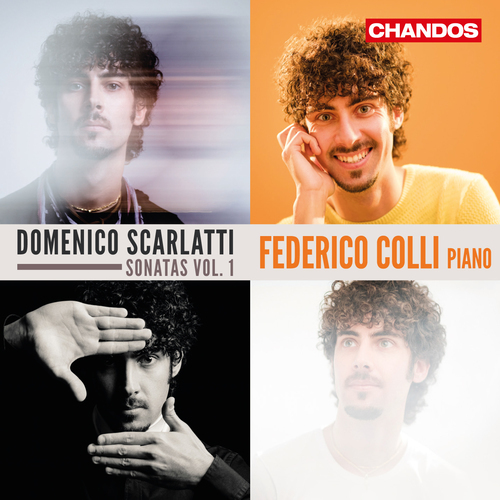 With Federico Colli, winner in 2012 of the renowned Leeds Piano Competition, Italy has gained, after a long time, a young pianist who has every chance of reconnecting with the great tradition of Arturo Benedetti Michelangeli and Maurizio Pollini. His sense for the strong contrasts, for a brilliant and resolute sound aims to the passion. His dizzying coherence in the interpretation and his focus on the changing lights are not exhausted in a virtuosic performance, but they serve to the structural explanation of the work. Played with formidable delicacy by Federico Colli with limpid tone and calligraphic phrasing, it’s a Valentino kiss this work. Cool, a little sad, unhurried, elegant. But Federico Colli takes care to seduce before sweeping the listener off his or her feet. Federico Colli is a prodigious young talent, making effortless work of Beethoven’s masterful but technically demanding ‘Emperor’ piano concerto. Visually, the cravat is the most flamboyant thing about him- his playing style is composed, with all his internal energy being channelled through long, elegant fingers and into a fluidly graceful, but technically impeccable, performance. The flourish of the opening movement was impressive, but the central Allegro was a thing of beauty. His playing was consistently detached, but never mechanical and he was phenomenal with his clarity of playing.